Two pilots from Jet Airways have been grounded after the reported altercation. Two pilots from the Indian airline Jet Airways have been grounded after a reported mid-air altercation during a London-to-Mumbai flight on New Year's Day. Witnesses told the Times of India that one of the pilots allegedly slapped his female counterpart who then left the cockpit in tears. They added that the tearful pilot was comforted by crew members in the galley while the other pilot continued calling the cabin crew to send her back. At one point, they said, he came out to the cabin to try to retrieve the co-pilot, leaving an empty cockpit. 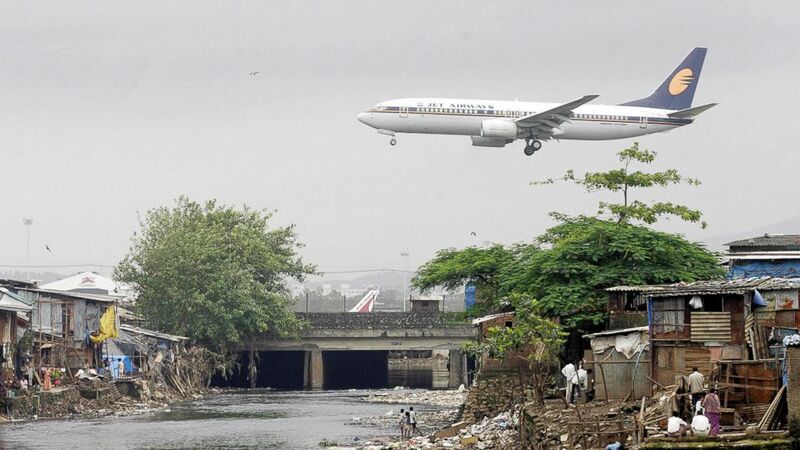 (Sebatian D'Souza/AFP/Getty Images, FILE) A Jet Airways plane flies over the Mithi River on its way to landing at Mumbai airport, at Bharat Nagar in Hyderabad, India, in this Aug. 16, 2005 file photo. "A misunderstanding occurred between the cockpit crew of Jet Airways flight 9W 119, London – Mumbai of January 01, 2018," Jet Airways said in a statement. "However, the same was quickly resolved amicably and the flight with 324 guests including 2 infants and 14 crew continued its journey to Mumbai, landing safely." A spokesperson for Jet Airways told ABC News the airline reported the incident to India’s Directorate General of Civil Aviation, who was not available for comment before publication, and that it is continuing to investigate the matter.